Managing finances is not a course that is taught on many campuses, but it's important for all students to learn. Once students graduate from college, they need to make smart choices about their money if they want to become financially secure. One school in Durham, North Carolina decided that the best way for students to learn about finances is to open a bank on campus. 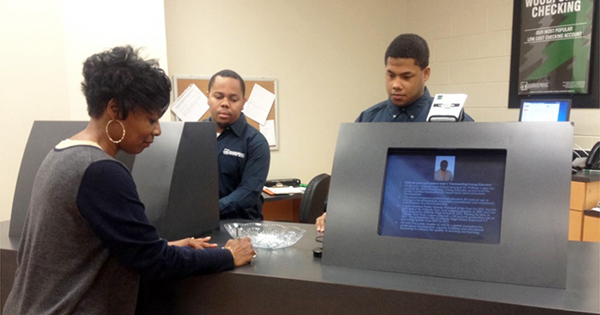 Hillside High School in Durham, North Carolina, recently opened a real, functioning bank branch on the school campus. Working with Woodforest National Bank, the school wanted to reach students while they were still in high school and teach them important skills in financing. It's a real bank that students, staff, and families can use to open accounts, make deposits, and take care of their banking needs. In addition to a manager and a sales representative, the bank hires students an interns and as bank staff employees. Hillside’s Business and Finance Academy offers finance classes that teaches students good money management skills. The student-run bank training center offers an even greater opportunity for students to increase their financial literacy by putting their finance knowledge into practice. This is the first branch that the bank has opened at a high school, according to the bank’s senior vice president, Jessica Valentine. The initiative was supported and applauded by State Treasurer Janet Cowell, who stated, "I’m looking forward to traveling the state to emphasize the importance of building better money management life skills and saving practices that will benefit North Carolinians from early childhood through retirement."